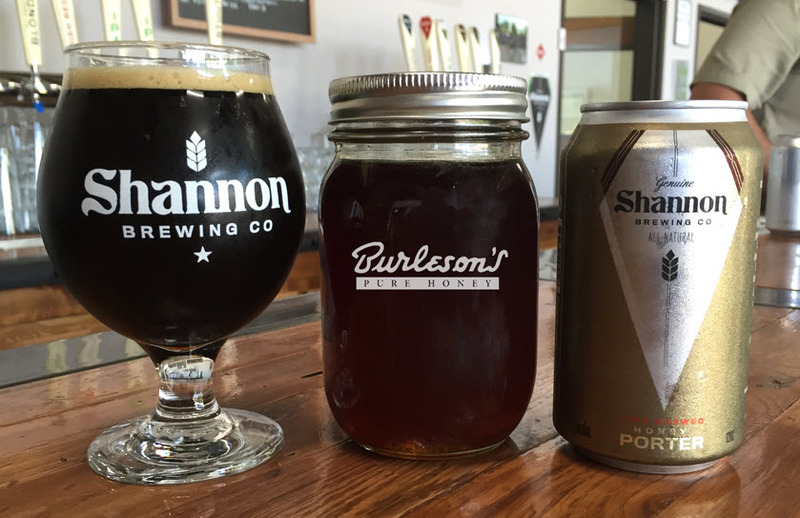 Images courtesy of Shannon Brewing Co.
After introducing the beer as its fall seasonal last year, Shannon Brewing Co. of Keller will release the 2016 edition of its Honey Porter on September 1. 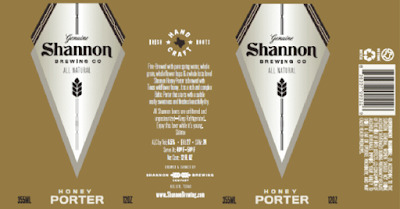 Shannon Honey Porter was a draft-only release when it originally went to market in 2015, but this year will be the first time the beer is offered in cans. And while kegs of Shannon Honey Porter will be shipped to accounts throughout the Metroplex, six packs of 12-ounce cans will only be available at the brewery. Built upon a Baltic porter base with Texas wildflower honey added during the brewing process, Shannon Honey Porter is designed "to have a complex blend of deep malt, dried fruit esters and a slightly higher ABV than traditional porters. The brewery's unique fire-brewed process accentuates the malt profile of the beer, which features a slight honey aroma without too much sweetness." A launch party for Shannon Honey Porter will be held on Thursday, August 25 from 4-7 p.m., at Taverna Rossa in Southlake. After that, not only will the beer be on tap at the brewery's second anniversary party on Saturday, August 27 (click here to purchase tickets), it's slated to be one of the featured brews at the 2016 Southlake Oktoberfest, an event that will take place October 7-9 at Southlake Town Square. Labels: fall seasonals, Keller, porters, press release, Shannon Brewing Co.